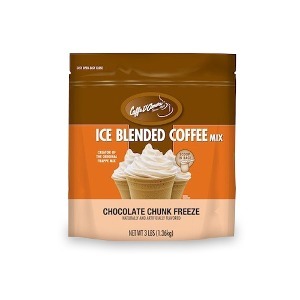 Gourmet Fappe blender mixes specially formulated with outrageous bits of crunchy surprises in every sip. These all-in-one miexes need only water and ice to prepare. Toppings sold separately for that added visual appeal. 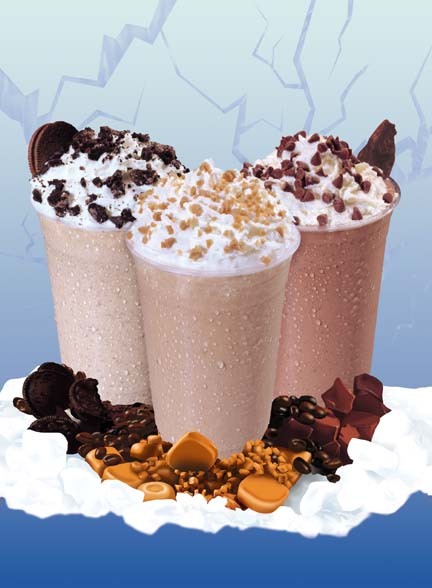 Caffe D'Amore Frappe Freeze Crunch Coffees contain bits of sweet surprises, like chocolate chunks, cookie bits or coconut flakes and have a smooth coffee flavor in every sip. Just add water and ice!